The British agency Hogg Robinson Group has ranked the top 10 cities with the most expensive hotels, but Russian experts take issue with the survey’s methods and results. Moscow boasts the world's most expensive hotel rates, with an average room rate running at 324 euro ($410) in August. Moscow has topped the Hogg Robinson Group’s list of cities with the most expensive hotels for eight years running. This year, it was followed by Lagos and then Geneva, with an average room rates set at about 271 euro ($340). In Zurich, a hotel room will cost you 265 euro ($335). Next on the list were Rio de Janeiro, New York, Sidney and Hong Kong. Paris ranked 9th, and Washington closed the top 10 list. Meanwhile, the rankings were a surprise to Russian hoteliers. Moscow's hotels are in no way more expensive than those in London, Vice President of the Federation of Restaurateurs and Hoteliers of Russia Vadim Prasov claims. "If you take a look at, say, booking.com, you'll see that Moscow has at least 377 hotels. According to official [Russian] statistics, the figure is only half of this. You can't really say that the Moscow hospitality market is facing any significant shortages. In fact, there are quite enough rooms. Every year, new hotels spring up, often overlooked by official statistics, and, let's face it, Moscow authorities are not exactly aware of them. These are usually small hotels of 20-30 rooms. And the new trend, hostels, is also very active,” Prasov said. Most likely, the British rating covered only the top segment of Moscow’s hotel market and, possibly, well-known three-star hotels but not the smaller, more recent arrivals. If this is the case, the 324 euro ($410) per-day rate is comprehensible, General Director of GOST Hotel Management Sergei Kolesnikov believes. "You have to understand that we leave out Saturdays and Sundays, when the rates are low. A price between 300 euro and 600 euro ($380-$755) is actually the average five-star rate, which is, indeed, rather high. But if we compare Moscow's Ritz with the Ritz in Paris, I doubt that the Moscow Ritz will be anywhere ahead of the Parisian one. This is just not true. 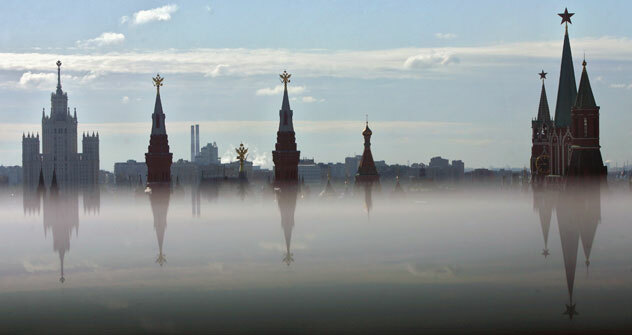 It's about competition for clients - to scare clients away from Moscow as an expensive city,” Kolesnikov said. Moscow has more than 400 hotels. Over the last two years, dozens of three-star boutique hotels have been opened in Moscow. You can find a decent room for 4,000-5,000 rubles ($125-$155). During the summer, you can also receive a discount of up to 70 percent, Vice President of the Russian Tourism Industry Union Yury Barzykin explains. "It is true that Moscow hotels are not cheap, but it depends on the season. In high season and in summer, rates can be very attractive, especially if booked through travel agencies. Group accommodations are available: you can bring groups of children to stay in four-star hotels. With three people to a room for 4,000 rubles ($125), you already get a nice rate of 1,300 rubles ($40) per person,” Barzykin said. Incidentally, on the night of 31 August, you could rent a room worth 18,000 rubles ($560) for a mere 3,500 rubles ($110). First published in Russian in Kommersant-FM.